Did you know that around 30,000 tonnes of recyclable bathroom waste ends up in landfill sites every year? 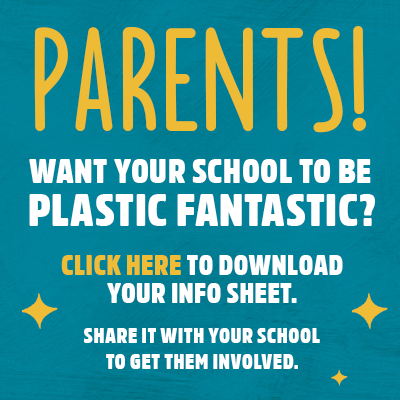 Get your school Plastic Fantastic and help us to reduce that waste. Garnier are challenging your pupils to recycle their bathroom items. Help your pupils to understand what their local council can and can’t recycle. Then empower them to recycle the rest with the Plastic Fantastic initiative. Register with TerraCycle© to arrange free collection of your plastic. Win playground equipment made out of your recycled plastic! The school that manages to recycle the most plastic will win a playground makeover worth £10,000. notes and information leaflet inside the resource. As part of the lesson, challenge your pupils to design their own recycling hub! We are looking for the most creative and engaging ideas to help people recycle more plastic and the best designer will win a tablet for their school. Send your designs to competitions@nationalschoolspartnership.com or use the free post envelope label and pop them in the post. Make sure you arrange a plastic collection and send in your recycling hub designs by Friday the 5th July 2019. Thank you for registering to the Plastic Fantastic initiative. Don’t forget to sign up for your free TerraCycle collection account!